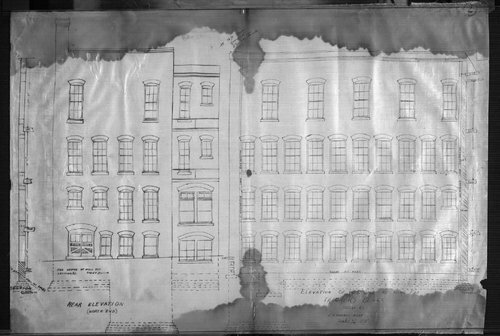 John Gideon Haskell's architectural plans for the Thacher building located at 112 East Eighth Street between Quincy Street and Kansas Avenue in Topeka, Kansas. It was originally occupied by O'Donald Lithographing Company and later by George W. Crane and Company. It cost around $40,000 to construct the building.